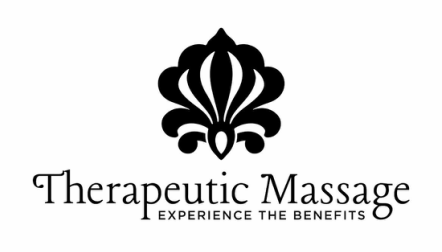 Therapeutic Massage Testimonials Page - Massage Therapy in Stockbridge MA and Chatham NY. "I have known Linda Morrison professionally for the last 15 years. I have sent her many of my patients throughout the years, for massage therapy. Patients that have been treated by Linda have had great success and been very pleased with the results they have received from her skilled care. I would recommend Linda in the highest when looking for a professional, competent, compassionate and caring massage therapist. " "Focused on My Particular Needs"
"I have been a client of Linda Morrison's for over 8 years. She is dedicated, caring and very professional. She was always on time, her work place was immaculately clean and she is pampering to her clients in every way. I have brought many of my family members to her as well. All felt welcomed and found her to meet their needs in every way. I have been to many massage therapists over the years, some in very expensive spas, and some in nice places where we travel. I have never felt more at home or better taken care of than with Linda. I went from getting a massage twice a year to getting a monthly massage. She listened when I was injured, found the area needing attention and remembered from one time to the next what I needed in particular. I know from others that they experienced the same thing. I am sure that you will find Linda to exceed your expectations, as she has mine. She is devoted to her practice and her clients are devoted to her." "Resolved Multiple Back and Neck Issues"
"Linda is a kind, caring and compassionate professional. Her knowledge, skill, and compassion for learning far exceeds that of most massage therapists. These traits endear her to her clients. Linda's focus on her clients' well-being is demonstrated by her commitment to understanding their issues and tailoring a massage modality that best suits her clients' needs. I can personally attest to her success. I have multiple back and neck issues and in using her neuro-muscular training she has kept me functioning comfortably. I have had Linda come to my clinic as a holiday treat for my employees. She brings her massage chair and worked on each person for 15 minutes. Even in a veterinary office she made her time with each team member special, working on everyone's aches and pains with specialized treatment. They all loved having her." "I have been a client of Linda's for several years. Linda was highly recommended by a Physical Therapist who had been treating me. At the time I had cervical issues, a problem with an area of scar tissue near my shoulder, and lower back pain from arthritis, aggravated from gardening, golf, and attending aerobic and Pilates classes. Since being treated by Linda I have been able to perform all my favorite activities pain free. On occasion when I overdid my activities or, moved the wrong way Linda was available to rectify the problem. Linda has the ability to look at my body language, diagnose, develop and execute a treatment plan. Her knowledge of the human skeletal and muscular system helped her to evaluate each and every problem effectively." Click for Rates and Appointment Information with Linda or call 518-794-8556 today!